Looking for deals in Budapest? Hotel Memories Budapest is located in 98 feet from Dohány Street Synagogue in Budapest. Built in 1900, the property is within 328 feet from Deak Ferenc Square interchange metro station. Breakfast was exceptional, as was the location. Located in Budapest, the D8 Hotel offers free WiFi. 1312 feet from Chain Bridge and a 6-minute walk from St. Stephen's Basilica, the property provides a shared lounge and a bar. New hotel with super friendly staff on great location. Opening in March 2018, the adults-only Hotel Clark Budapest is set in Budapest and features a fitness center. Popular points of interest nearby include Buda Castle, Chain Bridge and Matthias Church. Beds were comfy, had amazing views of the bridge and river. Design of room was nice. The brand new The Three Corners Lifestyle Hotel is located in the center of Budapest, 2297 feet from Great Market Hall and features a terrace and sauna. Guests can enjoy the on-site bar. The hotel was beautifully decorated and very clean. The room was spacious and very comfortable. The breakfast was delicious and well stocked, with many different options and the dining area was bright, clean and tidy. The staff at this hotel were AMAZING. All very helpful, very patient and always very kind. Highly recommend this hotel! Located in Budapest’s center, Iberostar Grand Hotel Budapest features luxurious air-conditioned rooms with free WiFi access, an à la carte restaurant and a well-equipped spa area, available for free. I loved the decor of the foyer and rooms. Our room had an amazing view of the buildings. Located 2297 feet from the Chain Bridge and Saint Stephen's Basilica, Kempinski Hotel Corvinus Budapest offers several restaurants, luxurious air-conditioned rooms, and an indoor pool. the position of the hotel, in the centre of the city, close to the relevant attractions of Budapest. Located in the historic Palace Quarter in Budapest’s center, Hotel Palazzo Zichy Budapest offers a free sauna and a free fitness center. What a wonderful place! Calm and beautiful ambience, amazing breakfast, and helpful staff. Pest-Buda-Hotel Design & Boutique is located in historic building of the Castle district of Budapest, 656 feet from Matthias Church. Originally opened in 1696, the hotel was renovated in 2016. Perfect experience - great location, helpful staff, spacious and modern-designed room. The 3-star superior Bo18 Hotel is located only 320 yards from the Budapest’s Corvin Shopping Center and Corvin promenade, and serves a rich buffet breakfast including champagne. Your hotel is magnificent.We were very comfortable.You are everybody is very friendly. Featuring young Hungarian artists, Bohem Art Hotel in the heart of Budapest combines the style of a hip hotel with the feel of an art gallery. Free WiFi is available in all areas. The room was spacious and the location of the hotel was hard to beat. 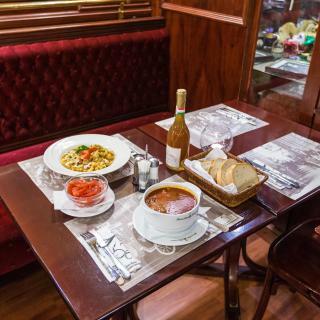 The Opera Garden Hotel & Apartments is located in a pedestrian street in the heart of Budapest, just a few blocks away from the Opera House and Andrássy Street and it offers homemade products for... The staff were really nice to deal with. The breakfast area is small but the food is good. This stylish boutique hotel with distinctive elegance is in a great location in the heart of Budapest, only a few steps from the Danube bank, the Parliament and the St. Stephen’s Basilica. The Hotel Parlament is in a great location. Walk Inn Váci 78 is located in Budapest, a 6-minute walk from Great Market Hall and 0.6 miles from Hungarian National Museum. Very secure, clean, comfortable beds, unique decoration made the experience amazing. Located in Budapest, 1312 feet from State Opera House, Bp Designe Hotel and Apartman has a terrace and rooms with free WiFi access. This hotel offers a 24-hour front desk. St. One of the best places to stay in Budapest. Offering a rooftop bar with panoramic views of downtown Budapest, the nonsmoking Aria Hotel Budapest by Library Hotel Collection features rooms and suites designed around 4 music styles and a spa... After visiting this hotel I can understand why it is rated as #1 hotel in budapest. Built in 1906 and entirely renovated in 2004, Four Seasons Hotel Gresham Palace Budapest enjoys an incomparable location in front of the Chain Bridge, offering luxury units, an infinity-edge pool, a... Perfect location. Smiling faces all around. Offering a fitness centre and a spa and wellness area, The Ritz-Carlton, Budapest offers accommodation in the heart of the city centre, just a few minutes walking distance from St. Everything,wonderful service and hotel! Opened in April 2014, Roombach Hotel Budapest Center is located in Budapest and offers a 24-hour front desk, a lounge with a snack bar, and rooms with attached bathroom with free air conditioning and... Fantastic location, nice size room, friendly and helpful staff and great breakfast. What are the best hotels in Budapest near Aquincum? Some of the best hotels in Budapest near Aquincum include Apartment Patrícia with garden, Appartment Seventh Heaven and New Danube Flat. Which hotels in Budapest have nice views? Boutique Hotel Victoria Budapest, InterContinental Budapest, and Hotel Clark Budapest got great room view-related reviews from travelers in Budapest. Which hotels in Budapest offer an especially good breakfast? For hotels in Budapest that serve highly-rated breakfasts, try Bohem Art Hotel, Hotel Parlament, and Bo33 Hotel Family & Suites. How much is a hotel in Budapest for this weekend? The average price per night for a 3-star hotel in Budapest this weekend is $123 or, for a 4-star hotel, $195. Looking for something even fancier? 5-star hotels in Budapest for this weekend cost around $453 per night, on average (based on Booking.com prices). Which hotels in Budapest are good for couples? These hotels in Budapest are highly rated by couples: Aria Hotel Budapest by Library Hotel Collection, Hotel Collect, and Hotel Moments Budapest. Which hotels in Budapest are good for families? Many families visiting Budapest loved staying at Hotel Collect, Hotel Moments Budapest, and Four Seasons Hotel Gresham Palace Budapest. Which neighborhood is the best one to stay at in Budapest? 01. Budavár, 02. Rózsadomb, and 03. Óbuda are popular with other travelers visiting Budapest. What are the best hotels in Budapest near Budapest Ferenc Liszt International Airport? Travelers who stayed in Budapest near Budapest Ferenc Liszt International Airport (BUD) have said good things about ibis Styles Budapest Airport, Hotel Ferihegy, and Airport Hotel Budapest. How much is a hotel in Budapest for tonight? On average, it costs $56 per night to book a 3-star hotel in Budapest for tonight. You'll pay around $98 if you choose to stay in a 4-star hotel tonight, while a 5-star hotel in Budapest will cost around $276, on average (based on Booking.com prices). Which hotels are the best ones to stay at in Budapest? Hotel Moments Budapest, D8 Hotel, and Maison Bistro & Hotel are some of the popular hotels in Budapest. How much does it cost to stay in a hotel in Budapest? On average, 3-star hotels in Budapest cost $76 per night, and 4-star hotels in Budapest are $111 per night. If you're looking for something really special, a 5-star hotel in Budapest can be found for $238 per night, on average (based on Booking.com prices). 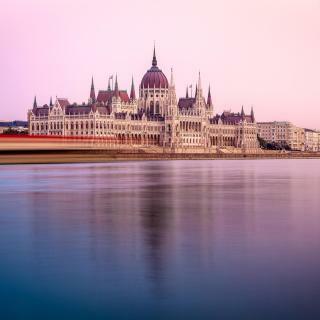 With a dome reminiscent of Brunelleschi’s "The Duomo" in Florence, the Hungarian parliament building is undoubtedly the icon of Budapest. It sits majestically by the Danube, the river that both divides and unifies the 2 parts of this capital city: Buda and Pest. Overseeing Budapest from its vantage point on Castle Hill is Buda Castle. Spectacularly lit at night, it has the best views across this attractive city steeped in World Heritage. Some unique points of interest are Heroes Square and the Museum of Terror, reminders of the city’s more turbulent past. Much like in Vienna further up the Danube, coffee and cake is practically an institution in Budapest. And there’s nowhere better to try them than Gerbeaud - the elaborate décor alone makes this café well worth a visit. To really feel like a local, make a trip to the thermal baths. The relaxed Gellért Baths are a triumph of Art Nouveau grandeur and, based on their sheer size, you can't miss the outdoor Széchenyi Baths. If unusual nightlife is your thing, the club nights at these baths are great fun. I transferred to Italy for two years and planned to visit all the countries in Europe if I can, so a budget hotel with friends on a monthly basis is all we can afford. My friends and I were happy with the room we got, it was clean and spacious and it wasn't like other hostels I've been too. The hotel is in a great location close to everything and all the major site seeing places in Budapest. Below the hostel is an inexpensive exquisite gyro mom and eatery and a bakery if you're on a budget like me. My friends and I were very happy with our stay. In addition, great staff! Be mindful of district 5 which is the tourist areas. Be mindful of district 5 which is the tourist areas. Everything is over pricedspecifically for tourist influx of money. Choose restaurants carefully. You will not receive traditional French, Italian or Spanish cuisines. All the great restaurants and pubs and bars and bistros are on the other side of the Danube and in the Jewish quarters district 7. amazing. good hotel I recommend for value would be King's Hotel. great apartments and apartment hotels on vaci Utica district 5 and fashion street. Bemindful of the Christmas market very very over priced and it s just me declaring this. you can ask them where are their shops located and patron their tt make purchases and dine for local prices. Going to Budapest was exciting, but the prospect was somewhat out of my comfort zone. I knew that the language was not related to other European languages, and that there were some places and things to be avoided. It took very little time for me to feel comfortable, though. The neighborhood near the Arcadia Hotel has most signs in English, as well as menus. This is a safe feeling area, and many interesting sights within easy walk. The food was startling good. The little places were great, and the two classy places suggested by the hotel would have earned critical acclaim in New York. The National Museum is spectacular. The Roman ruins and museum at Aquincum are also fantastic. Beautiful city that reminds one of Paris in some places and Italy in others. 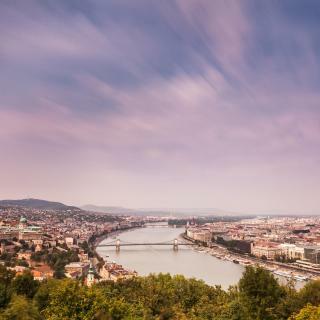 Buda, the castle district, was a top destination and offered glorious views of the Danube and Pest. The people were polite drivers and very hospitable. We saw two terrific exhibitions at the Hungarian National Gallery…Picasso and Modigliani. Unfortunately, the Fine Arts Museum and History of Music Museum were both closed during our stay. Would recommend skipping the baths in the central park as they were very crowded and did not offer the hot, mineral pool as promised in guide books. The Hotel Aria was really, really special for both accommodations and dining. I highly recommend it. We also liked the Italian restaurant Pomo d' Oro (try the lasagna and pizza), but the food at the New York Cafe was disappointing. Gelateria Rosa (multiple flavours shaped like rose petals), near St. Stephen's Basilica, was a nightly destination during our stay. Wished we had time to attend the organ concert at St. Stephen's, but we were attending a sporting tournament outside Budapest throughout our stay. We rented a car at the airport, and drove to Godollo daily. Definitely more convenient and quicker than taking the metro and train, but beware that highway signage may be a bit confusing. This was a beautiful city that shoukd never be missed. This was a beautiful city that shoukd never be missed. Tour guides, hotel staff, restaurants, we're all friendly and priced right for value. Marriot was the right place to stay in the middle d it all. So easy to get from there to anywhere by walking , or our favorite, TukTuk. Great and beautiful European city. The city is very big and I think you need 2 full days to see it at the very least. Information points were not super helpful, at least to what I was wanting to see. I would like to see the free maps that hotel provide give more information about the sites, not just where they are. (i.e. opening times, what it is, some bits of history, etc.) There are a ton of things to do but their map is lacking. We did our own research, had various free maps and as we would walk around the city we would find something else that you could barely see on their map. Many museums and sites. I recommend the castle, the market, citadell, and going to see the hotel near the New York Hotel, and the train station. If you see these sites you will see other sites for sure while walking on moving by bus. Try the metro. It is a fast way to move around and even if you can't see the city because you are underground it is an experience. My only negative is that it is not super kid friendly because most things don't have ramps if you are traveling with a stroller you have to carry it up and down the stairs. 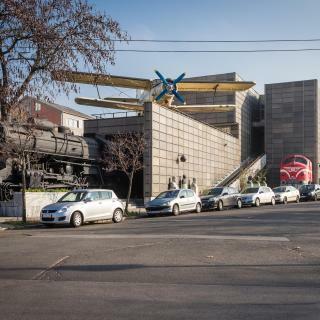 It is located near Deák Ferenc square which has good transportation connections to Budapest and its surroundings. Within the building and very near to the hotel are clubs and joints for hanging out. Within walking distance, there are supermarkets, restaurants, coffee shops, cheap eats and a park. The Jewish Quarter is nearby as well. The room and sheets are clean. There is housekeeping every day. The ladies at the reception are very helpful as well. Ask them any question, they will lend you their assistance. Everything was great! The location of the hotel is really good, it's in the center of Budapest but not directly on the main street so it's really peaceful. The apartment was really spacious, with fully functional kitchen, living room, bathroom and bedroom. The staff is really friendly and helpful, and they all speak English well. We really enjoyed our stay here and would gladly come back again! I would highly recommend Lord Residence to anyone who wants to have an amazing time exploring Budapest! Everything! This property is lovely! Completely upgraded and chic. The bathrooms and kitchen is completely new, extremely well equipped and very clean and lovely! It's location is ideal,close to everywhere. The beds are new and very comfortable.its large and spacious too! The Host is accessible, communicative and helpful. Guests can access the services of the nearby hotel which is very helpful. Best place to stay in Budapest! The property was well situated, closely to the city centre (via metro and walkable distance). For those flying into Budapest, the hotel was well served as it was nearby Astoria stop which is one of the stops on the 100E transfer bus! The hotel itself, was well equipped, and modern! And staff were always happy to assist promptly. Left baggage there over the day prior to flying back out. Hotel were happy to hold until we required. The name say it all. It was the 5th time in Budapest and this time was the best accommodation. Also the position is perfect because you are away from the tourist traps but 10 min walk from the city center. Also 2 min away from metro to point zero of the center. Best part is that I could park the car for free 200 m before the apartment. Before Kiraly there is a larger street that has free parking on both sides. Great location! Near everything!! Easy access to the shuttle bus to the airport right at the corner! Great staff! Helpful! They help you with everything you need and want to know about the city!! 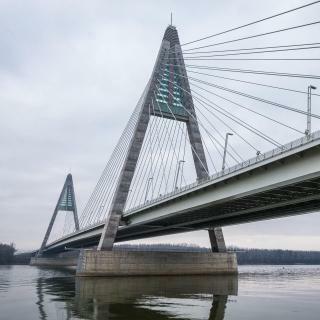 It is a short walk from the chain bridge! And the parlament! In my opinion this is the best choice if you want to visit budapest and at a low fare and in the city centre! The property is very cheap - good value for this money. We stayed only one night and we didn’t have much contact with the owner since we were out the whole day, exploring the city. She is however, very friendly and trying her best to communicate with us (in English). The location is also good, not far from the city centre, if you don’t mind a little walk. We were not at the main building of the hotel. It took some time to find the apartments but it was very clean and comfortable. Rooms look brand new. Breakfast was good, plenty of choice but more coffe choices would be nice. Location is not the best if you want to explore Budapest but for us it was excellent because we needed something close to Aquaworld. We really enjoyed our stay here. The staff were kind and very helpfull. The rooms where normal, for the price very good. There is a spa right behing the hotel and it was great! 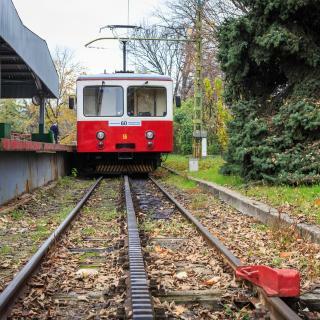 Take the tram just infront of the hotel and you are im the city centre in 10 minutes, and on the way you can enjoy the beautiful view of Budapest. The best thing about this accomodation is the location in the city centre. It's close to tourist places and to the bars and restaurants to enjoy the nightlife in Budapest. Price is very good. Rooms were clean and quiet. Hosts are very nice and caring. There is everything you need, even a washing machine. It's a Hotel with the hostel spirit and environment It's warm with a very helpful staff who never loss there smile It's the best for nightlife and tours as well The reception would help you in arranging your tours and reservations for free. Better than any 5 stars concierge. Comfortable and clean. Easy check-in and everyone friendly. Quiet area yet near main Metro link....but a bit out of real city centre. Decent breakfast and good WiFi. I walked miles round Budapest which was beautiful. Hotel was good value. Spacious 2 bedroom apartment, excellent airconditioning (not common in this area apparently) efficient and friendly staff. Breakfast very basic but cheap. Location excellent; close to Budapest city centre but still very quiet location. Location was quiet away from main city centre but easily walkable in 10 minutes. Hotel was excellent from the room, staff and breakfast. The staff were helpful in booking the sightseeing tours and taxis to get to and from the airport. Designer chic gorgeous boutique hotel. 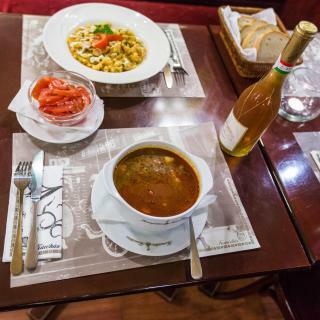 Staff treat you like long time returning guests and the location is absolutely in the best area totally central to go everywhere in Budapest. You get what you pay for. Cheap. Great staff. Location is actually good if you’re okay being outside of the city center. Bus line is right outside the hotel. Very clean, comfortable, modern, friendly, pretty and cheap. 5 minutes from the city centre, after all is quite and safety. THE BEST ACCOMODATION IN BUDAPEST!